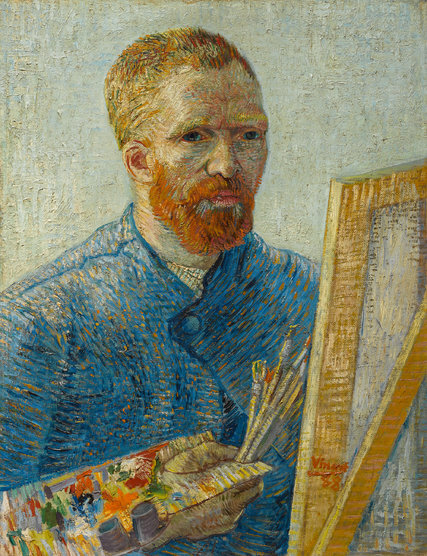 Vincent van Gogh is remembered for his beautiful paintings. Having his own unique style of painting leaves millions of people coming to the Van Gogh Museum in Amsterdam, the Netherlands.Â But it wasn’t all ‘Sunflowers and Sunshine‘ for Vincent. During several periods in his live he was tormented by mental illnesses. During one of these periods he cut of his ear with a razor. But rumors about the amount of ear that was cut off by Vincent van Gogh were never really put to rest. Was it a tiny piece? Was it his total ear? The information in words still leaved room for discussion. And everybody knows that doctors handwriting is somewhat difficult to read. 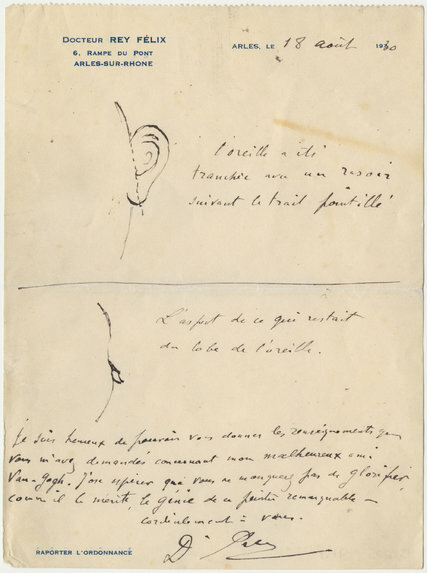 Until recently when a drawing was found made by the doctor who treated Vincent provides essential information how much of his ear was actually cut. 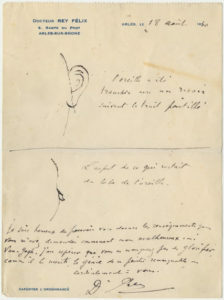 The letter and drawing will be displayed for the first time at theÂ Van Gogh Museumâ€™s exhibitionÂ â€œOn the Verge of Insanity,â€ which opens here on Friday july 15th and runs through Sept. 25, along with previously unexhibited documents and artifacts that try to provide more detailed evidence about van Goghâ€™s mental illness.